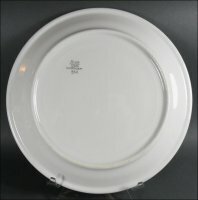 Here's another mystery plate made by Mayer China, most likely from the 1940s to 1950s. 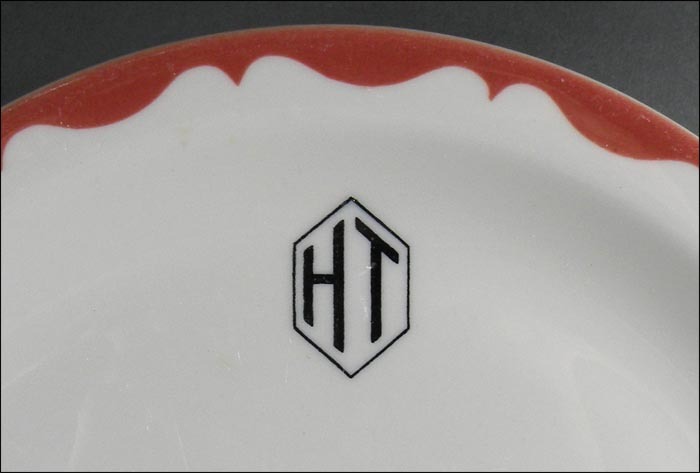 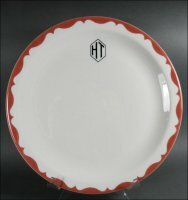 It has a prominent HT monogram within a hexagon and is added to Mayer's Winthrop pattern. The border is a muted red. The 9-inch plate is in excellent condition with only medium scuffs and utensil marks - no chips or cracks.